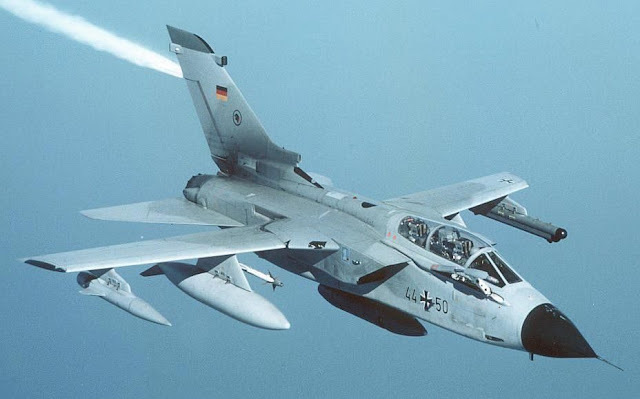 Of Germany's 93 Tornado jets, 85 are operated by the Luftwaffe, or air force, but not all are equipped to carry nuclear weapons. The remaining planes are used for training. Just wow. Just plain wow. German procurement makes everyone in NATO smile. They're more jacked up than anyone else and whenever someone is feeling down they can always point to the Germans and say but "at least we're not that bad!" The Typhoon isn't certified for nukes? If not why not? This seems like a relatively simple problem to solve. Certify the Typhoon and buy more. Bite the bullet and buy French or German...OR accelerate development of the next gen plane.